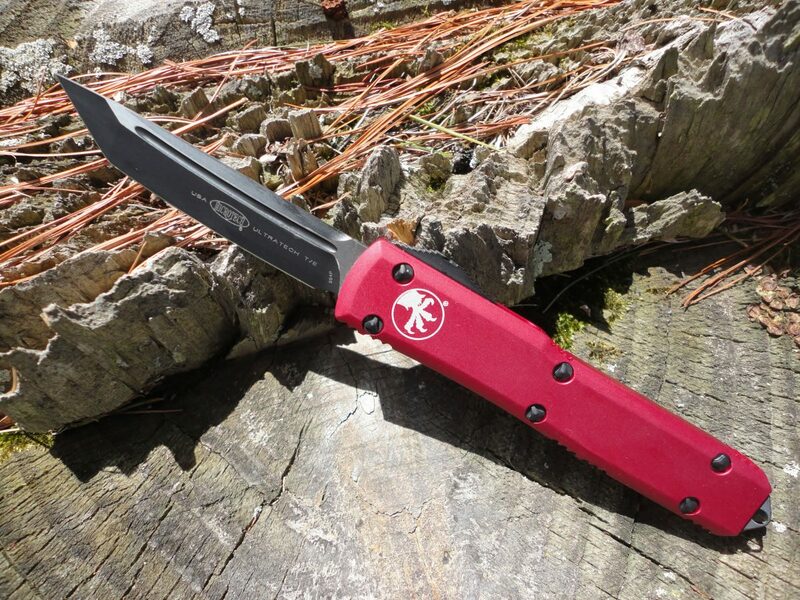 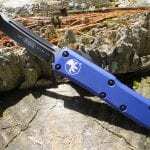 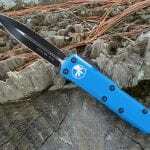 The Microtech 123-1RD Red Ultratech features a tanto style blade that has a plain edge. 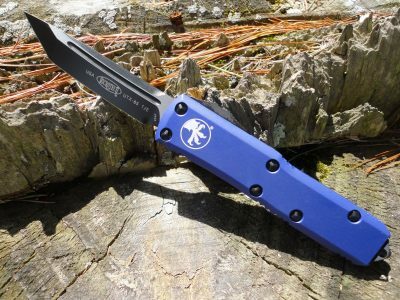 The black finished blade is Carpenter CTS-204P steel. 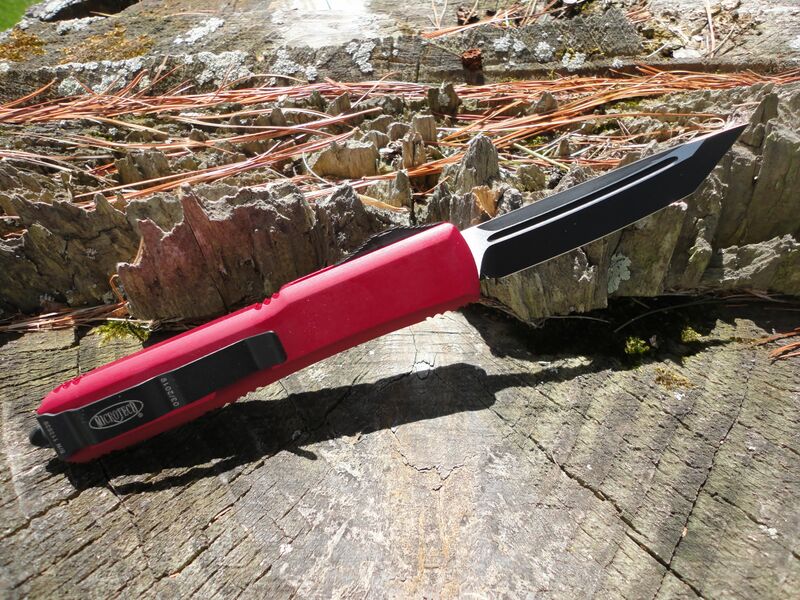 The red anodized 6061-T6 aircraft grade aluminum handle features a black finished pocket clip, glass breaker, and black stainless steel hardware. 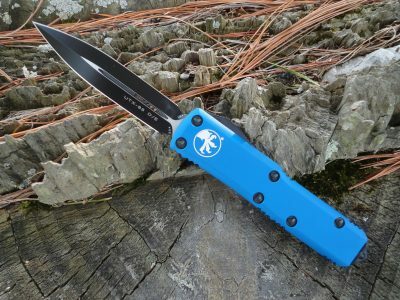 Microtech equipped this Ultratech D/A OTF knife with a smooth, contoured handle (chassis) design that promotes increased comfort during use.